Our Sunday shopping trip was a blast. Really, anytime you get me out shopping and it's for fun things and not groceries, you can't not have fun! After taking into account what we needed, where it was offered, and the $50 Bass Pro rewards card Tim had received from MyPoints.com, we knew exactly where we were going. 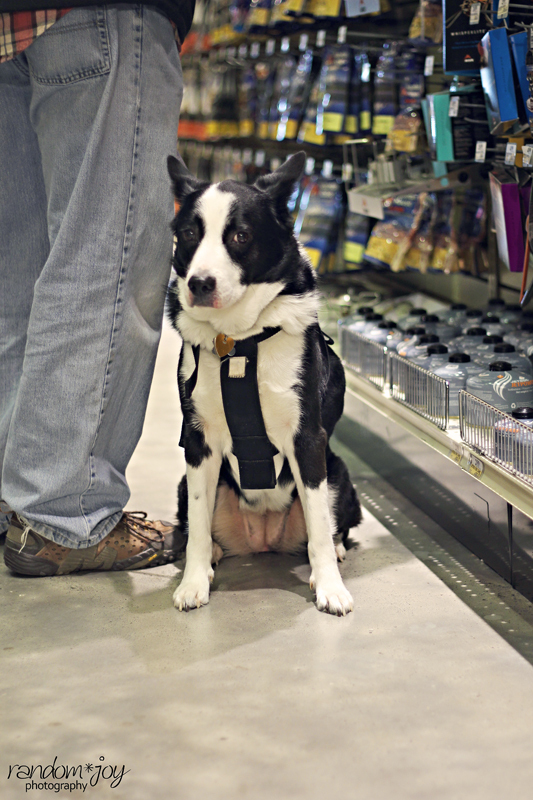 Plus, our local Bass Pro Shop is dog friendly, so Clover got to go shopping, too. Bonus!! While I'm on that - it was her first time in a store that big. She did amazing! We were so proud of her. She was great for all the kids who wanted to pet her, even when they came up unannounced. She did get a little bored while Tim was lost in the land of everything backcountry and a little nervous during her first elevator trip. 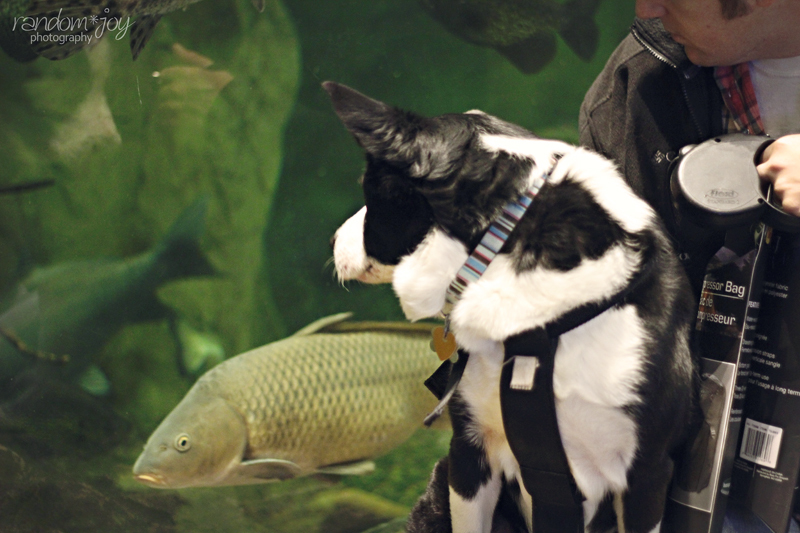 But she got lots of ear "skritches" and absolutely loved the huge fish in the indoor aquarium. She was so intrigued by them that even other people were making comments about how cute it was! Even though Clover was making new friends around every corner and had to stop to give kisses every time, we were able to finally get some shopping done. We ended up walking out with two Small Compression Sacks, a dry bag for our little electronics, a couple pairs of sleeping bag straps, a key chain thermometer, and a new-to-us outdoor meal: Heater Meals - Self-Heating Meal in Zesty BBQ Sauce & Potatoes with Beef. We just got one cause we wanted to try it out first and see what it was like. Our grand total was $50.31 after tax. Since the gift card was free, we pretty much got all that stuff for 31 cents! Now, that's what I call staying within budget! 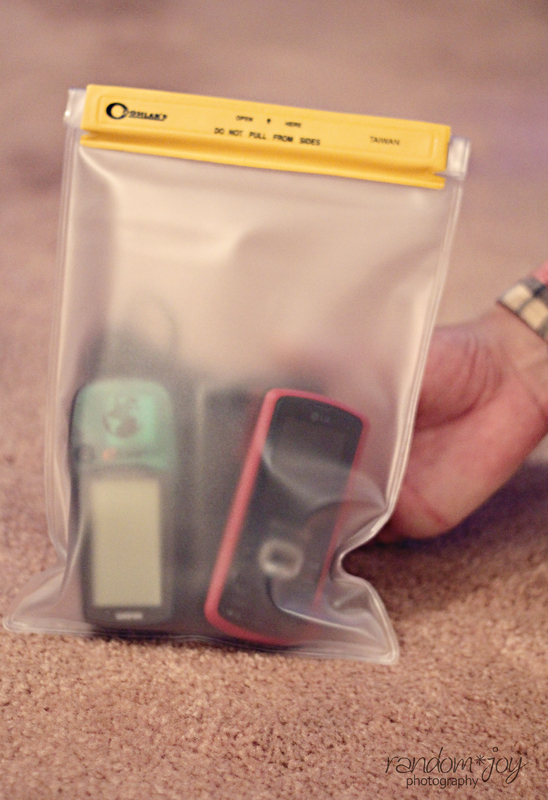 The compression sacks are not dry sacks, but they are "water resistant." I'll be testing this soon at the kitchen sink. We bought 2 of the small sized bags which touted that they hold 19L. I stuffed 5 big beach towels in it, compressed it down as far as the straps would go, and it was about 12 inches in height and a little over 8 inches in diameter at the fullest point. I think it will hold our clothes quite nicely. The bag itself is pretty light without anything in it. The only thing that really concerns me (other than the water resistance) is the stitching on the compression straps. The seams on the bag look like they will hold up well, but I'm just not so sure about the straps. I may have to whip out the sewing machine and reinforce them a bit. The dry bag we picked up for the electronics was listed as a large. It's got a fold over sealing top. It fits all our our electronics (cellphones, car keys, point-n-shoot, gps, and probably even Tim's handy-talky if necessary). It looks to be well constructed and I don't think we'll have any problems out of it. It will probably go through a strict sink test as well, though. 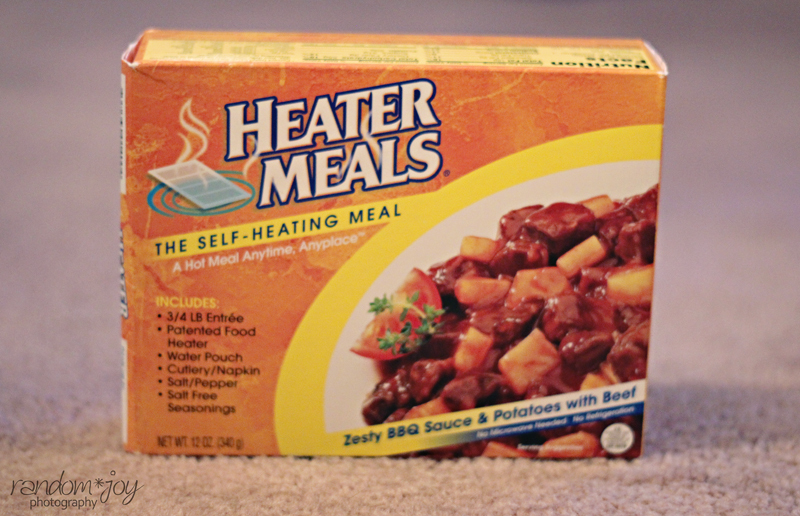 We've decided we'll write up a review on the Heater Meals and let all of you know if it's worth carrying the extra 12 ounces to eat a hot, 3/4 lb entrée for a backcountry supper. At $6.99, the price doesn't seem too bad considering most other dehydrated products run about the same. I also spotted squeezable applesauce at the Walmart yesterday, and I'm pretty excited about picking some up to try that. 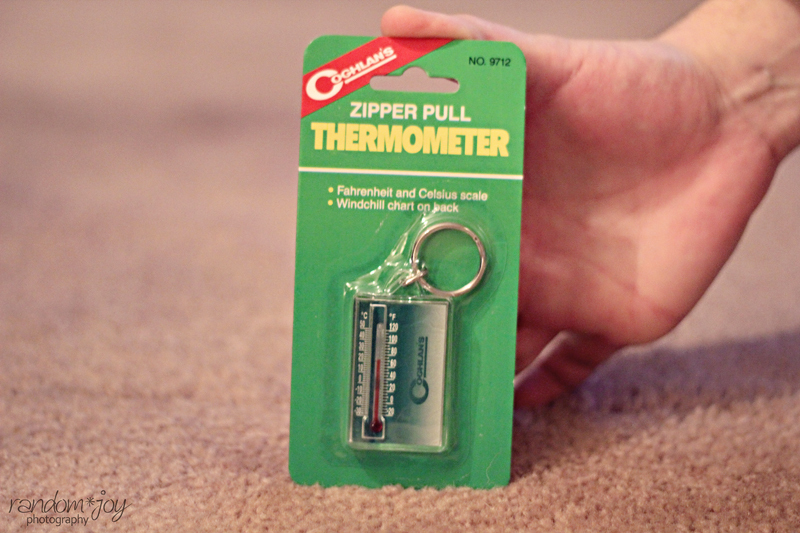 The key chain thermometer was an impulse buy. We really just liked the idea of knowing what the temperature was wherever we were at. It has a wind chill scale on the back, isn't that heavy, and we'll just put it with our keys probably. Just a cute little gadget that caught our eye. 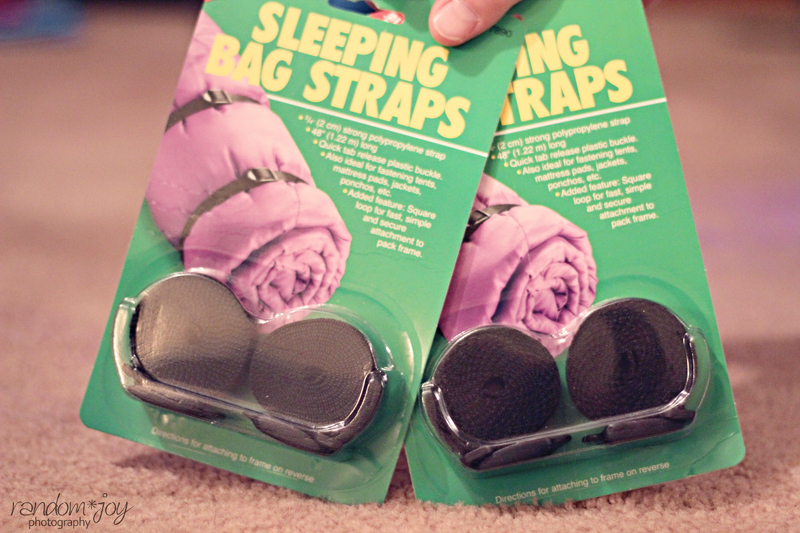 The sleeping bag straps are for the tops of our packs. Tim's pack is pretty large, and with the proper compression sack, he could probably fit his bag inside of the pack. My pack, being a ladies pack, is considerably smaller. 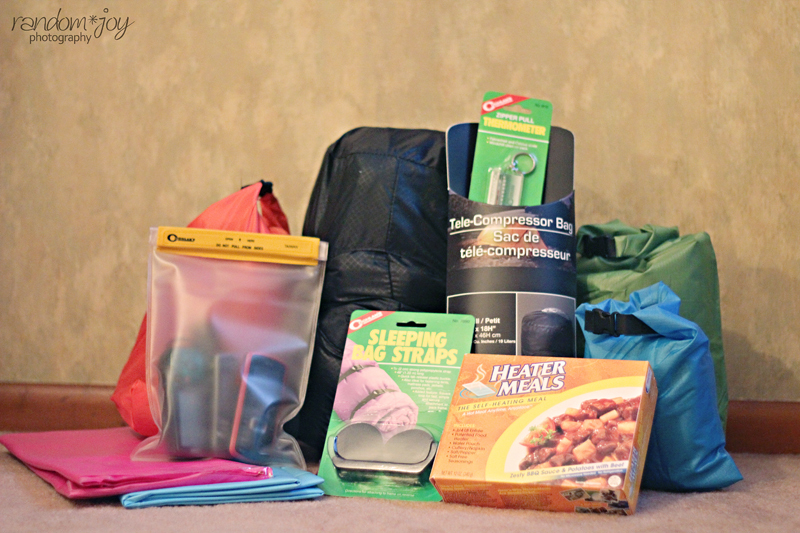 There's no way that big ol' synthetic bag (Oh, please Santa an ultralight bag for Christmas!) 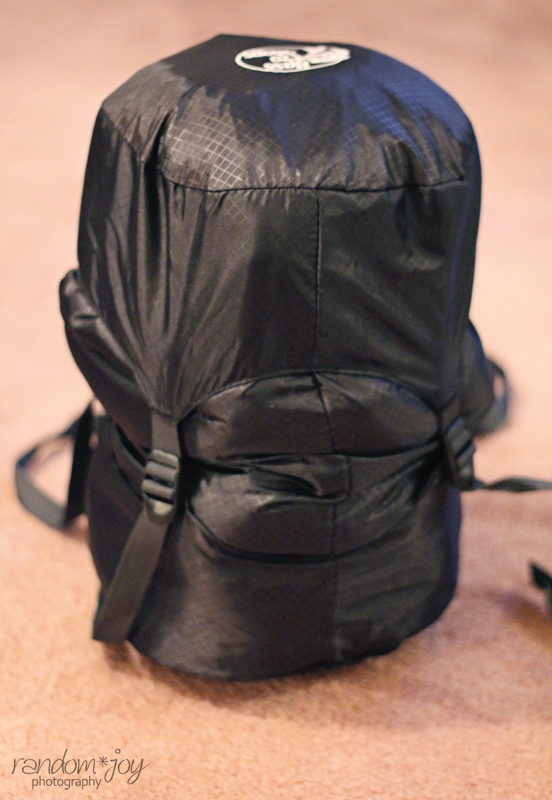 will fit inside my pack, even compressed. So, I'll definitely have to store my sleeping system on top. We still need dry compression sacks for these. The funniest thing comes next. 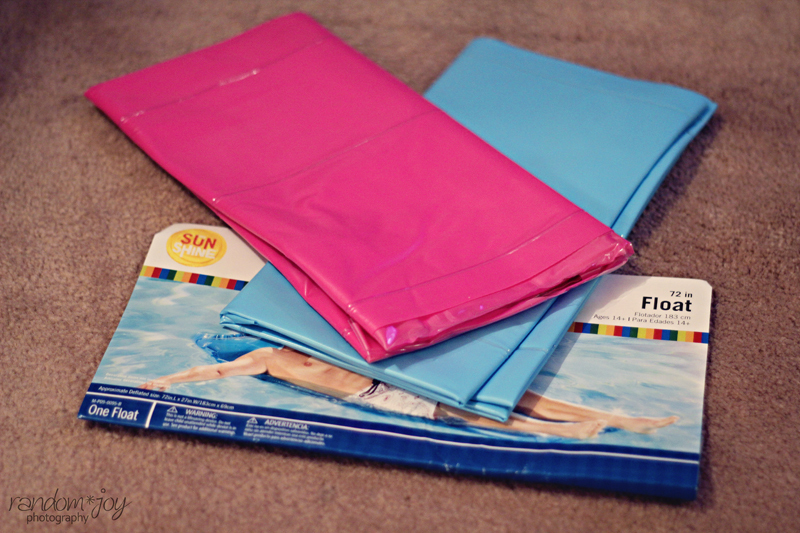 Our high tech $2.50 sleeping pads - the infamous old school pool float. My parents packed these same things back in the 70s and early 80s. Anything has to be better than sleeping on the ground, and to be honest, all of the display mats at Bass Pro today (Ascend and Therm-a-Rest) weren't really any lighter. And yes I most certainly did lie in the middle of the floor trying every mat that caught my fancy. hehe The Trail Scout was 1lb and 8oz. Our floats - not officially weighed yet - can't be more than 2 lbs. Plus, in as much as I've read about those self-inflating pads getting holes in them, I'd rather get a hole in a $2.50 float than a $50.00 mat. Maybe one day, but for now, we're going old school. 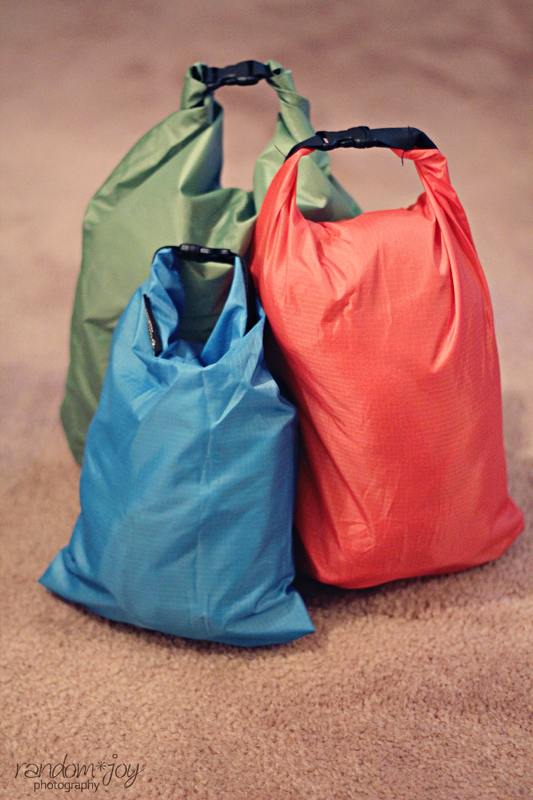 Last, but not least are the 3 little dry bags we picked up at the local big box mart. Believe me, I have my doubts, but if they keep my food products mostly dry then I'll be happy. That's all they're really needed for. I'll put them through the sink test, too, and we'll see how well they perform. And for the ladies, it's official. You've heard me talk about them before. I love, love, love this wonderful little lilac colored life-saver. 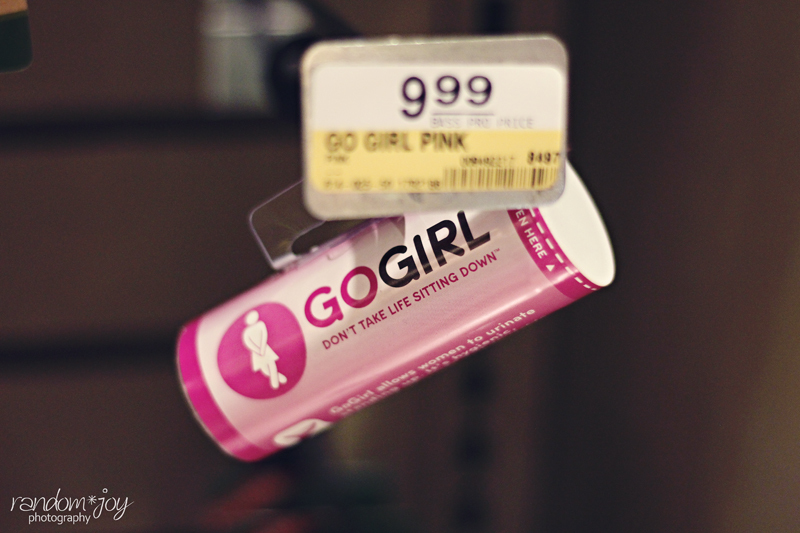 Bass Pro now carries GoGirls, and at the same price as online. So now you really have no excuse. "Don't take life sitting down," buy one of these!